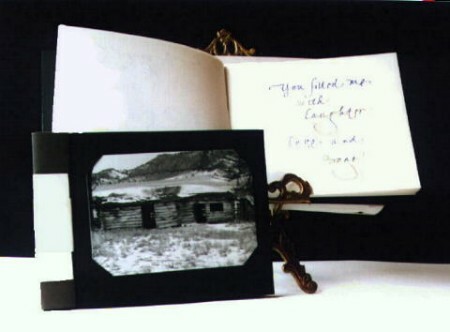 This non-adhesive binding has photographs of "homestead cabins" on front and back covers. The touching memoir of those ever-so-old buildings is authored by the artist and her husband and written out in a cursive hand. The artist is also the photographer.